Sat on my sofa with a heap of mucky muslins by my side, I realised that 4-week old little Etta was staring at my top. It was the first thing I’d noticed her actively trying to focus on and unsurprisingly it was a simple black and white pattern. 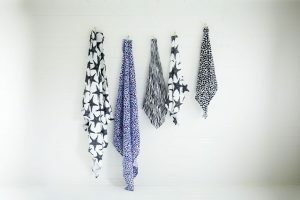 Functional, developmental and stylish muslins are what I wanted to create. Now don’t get me wrong, I own other lovely muslins and some are black and white. But whilst these provide some stimulation for my little one through the very fact that they are high contrast, they haven’t been developed with this as their primary objective. 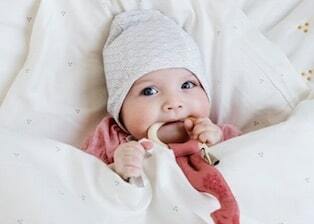 Etta Loves muslins are not only practical, super-soft, absorbent 100% cotton, but they have been designed with input from an early years visual expert, to ensure that they stimulate babies’ visual and cognitive development. As such the range is split between 0-4 months and 5+ months.